Remarkably, as much (if not more) screen time and dialogue is given over to the domestic violence narrative of this pedestrian low-budget killer-in-the-woods film as to the generic slasher-stalks-his-prey narrative. Yet herein lies two strange disconnects: the real-world subject of abuse is much more serious than its cinematic treatment here (the two protagonists talk endlessly and banally about relationships, victimhood, and confidence, making each self-realization sound as cathartic as the act of picking up an empty tote bag), and the cinematic representations of what is supposed to be horrific mayhem are unbloody (in spite of one generous slicing) and (worse) uninteresting. There does exist, to this film’s minor credit, an attempt to connect the verbal and physical abuse done by the Final Girl’s loutish shouty boyfriend with the violence committed by all the male characters (whether it be with peeping eye, degrading words, or stabbing blade), but this connection is buried under script, direction, acting, lighting, and sound design that veers between nonsensical, trite, and amateurish. 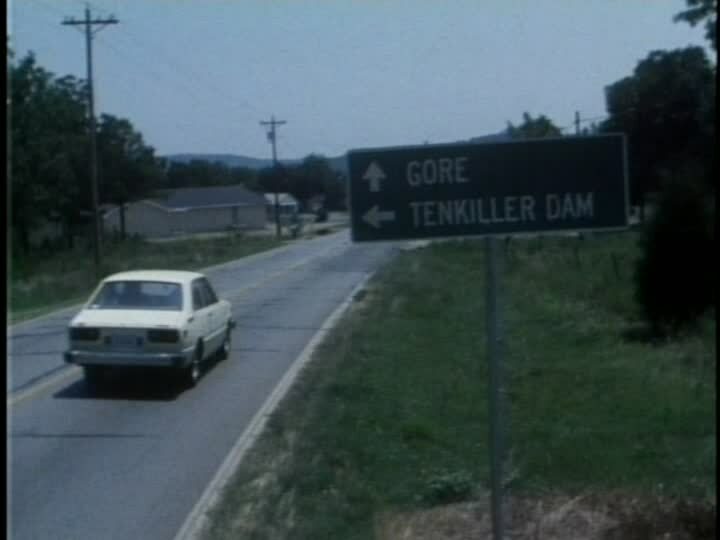 This entry was posted in Film and tagged 1980s, Ken Meyer, slasher, Terror at Tenkiller, USA. Bookmark the permalink.